Elsa is interested in Canadian and comparative parliamentary democratic systems and their core institutions. Her research is inspired by the contention between parliamentary and electoral theories of democracy. On the one hand, parliamentary democracy is the traditional model where the people elect representatives to parliament, who then in turn select the government. On the other hand, electoral democracy by-passes parliament to directly connect the people to government, with elected representatives merely a conduit for that connection. Events in Canada, such as the 2008 prorogation of parliament to supress a non-confidence motion, and in other parliamentary systems like Germany, indicate that electoral democracy is on the rise. To unpack the parliamentary versus electoral democracy debate, Elsa’s SSHRC-funded dissertation research investigates how different types of non-confidence votes impact the working of parliamentary institutions and processes in Canada and abroad. Elsa received a Master of Arts in political science from the University of Calgary and Bachelor of Arts from St. Thomas University with an Honours in political science and a major in economics. Her MA thesis, No Confidence in Non-Confidence Votes: Would the New Zealand Confidence Protocol or Constructive Non-Confidence Restore the Canadian Confidence Convention?, was supervised by Dr. Rainer Knopff. The Department of Political Science at the University of Calgary selected it as the best MA thesis in 2014 and nominated it for a Governor General’s Gold Medal. An article based on this project was published in 2016 in the Canadian Parliamentary Review. 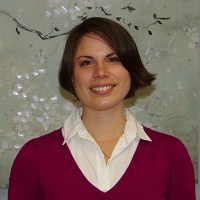 Prior to her doctoral studies at Carleton University, Elsa worked at Metrolinx on their Community and Stakeholder Relations team, and at the Ontario Ministry of Citizenship and Immigration. She is the current research assistant for Bell Chair in Canadian Parliamentary Democracy in the Department of Political Science and is on the organizing committee for the Bell Chair’s third graduate student conference.